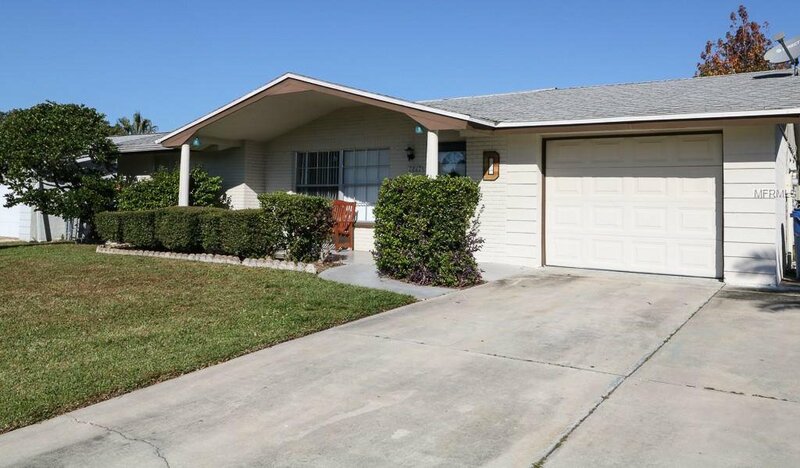 Move right into this lovely fenced 3 bdrm 2 bath 1 car garage home with newer kitchen cabinets and counters 2013. Dishwasher new 2014. Floor. Large screen porch 12x16. Nice large open porch in front. Roof newer 2010. Hot water tank 2013. Central heat and air handler 2009 and condenser 2012. Garage door opener 2010. Perfect home for first time buyer or investor looking for rental income. No lease restrictions whatsoever. Listing courtesy of BHHS FLORIDA PROPERTIES GROUP. Selling Office: CHARLES RUTENBERG REALTY INC.